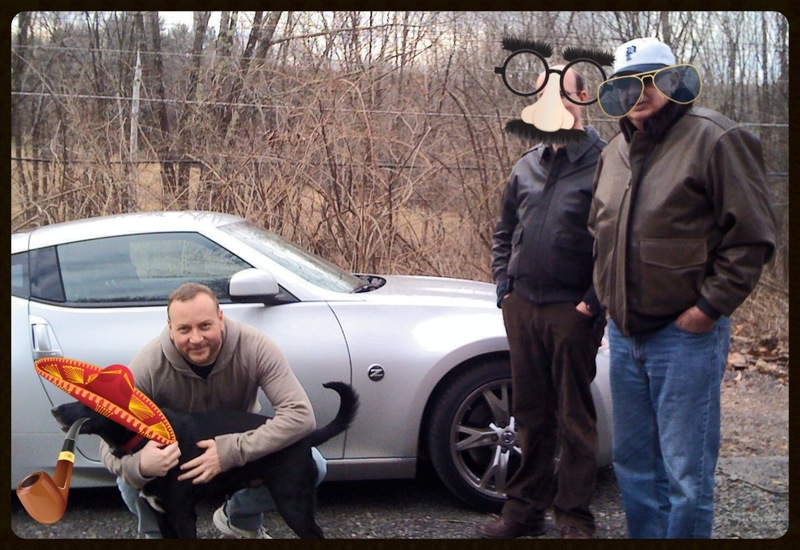 Pictured are myself and some friends the day after I bought my car in January 2013. What made me think of that day is I just went back to Koeppel Nissan in Queens where I bought the car. I’m hoping to work with them on some sort of sponsorship for the trip but even if it doesn’t work out I really do recommend them and their awesome service team (Shout out to Chris!). I was not going to buy my car there in the first place, as my first inclination is always to go to New Jersey on route 17, dealership paradise and go for the best price with lower New Jersey taxes. But I went to Koeppel because I read something about the owner. A few years ago Howard Koeppel and his partner let then Mayor Rudolph Giuliani crash at their place when his wife Donna Hanover kicked him out for having an affair. That’s how I found out the owner of Koeppel car dealerships is gay and I promised myself I would spend my money at gay owned dealerships. And Howard Koeppel doesn’t take any crap. After all he did for Giuliani, the ex-Mayor still refused to officiate at the wedding of Howard and his now husband Mark Hsiao because of his political angling. Howard called him out on his hypocrisy in the press in a really classy yet clearly pissed way. Gays are good enough to help you out during the lowest part of your life but they shouldn’t get married. Getting married is reserved for ex-mayors who cheat and get married three times. Don’t get me started, this gets me so angry. Just buy your god damned VW or Nissan at Koeppel and never vote for Giuliani. And never marry Giuliani because he’ll cheat on you. And don’t let him stay at your house because he won’t officiate your wedding.